The federal government plans to appeal a Quebec court ruling blocking it from destroying Quebec’s portion of gun registry records and ordering that the data be given to the province. Minister of State Maxime Bernier told the House of Commons Monday the government will appeal the Quebec Superior Court decision. On Sept. 10, Superior Court Judge Marc-Andre Blanchard voided two sections of the Conservative government’s legislation to scrap the long-gun registry. Blanchard ordered the federal government to give all records on Quebec-owned rifles and shotguns in the registry to the provincial government within 30 days. The Conservatives have been adamant about scrapping the long-gun registry and destroying the existing data. “The will of Parliament and Canadians has been clear,” said Public Security Minister Vic Toews Monday, in a prepared statement. “We do not want any form of a wasteful and ineffective long-gun registry. The federal government has said in the past that any province that wants its own registry is welcome to start from scratch. NEWTOWN, Conn. — In late August, an umbrella organization of 23 separate U.N. agencies known as the Coordinating Action on Small Arms (CASA) adopted the first portion of International Small Arms Control Standards (ISACS). The ISACS text is made up of 33 separate modules, some 800 pages in total. So far, eight modules have been adopted as the result of a process begun in the spring. Phil Watson of IAPCAR was featured this week as the Leadership Institute’s Graduate of the Week. Click here to read the article directly from Leadership Institute’s website. The right to keep and bear arms is what Leadership Institute graduate Phil Watson has devoted his time and talent toward preserving. 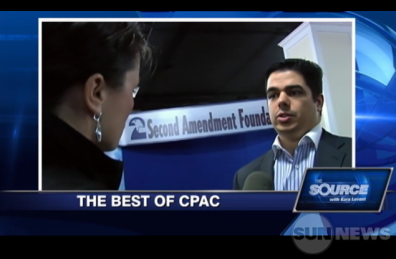 Phil is the Second Amendment Foundation’s (SAF) director of special projects, where he researches Second Amendment court litigation and news surrounding gun issues on a national and international scale. Additionally, he’s executive director at the International Association for the Protection of Civilian Arm Rights. However, Phil hasn’t always been involved in public policy. It’s been a career in the making. Phil was raised in a “minimum-wage-working world,” where he delivered newspapers to neighbors to earn an extra dime. He also remembers doing yard work and washing dishes at a local restaurant to collect some additional money. With a degree in hand, he met some political activists who were regular patrons at the large neighborhood convenience store where he worked. After several long talks, one of the individuals invited him to work on his campaign. “It sounded interesting, so I decided to give it a shot. Several people highly recommended the Leadership Institute, so I took the Campaign Management School and was off and running,” Phil shared. In April 2010, Phil came to LI’s headquarters in Arlington, Virginia to attend the week-long Campaign Management School. Shortly after, he was asked to be the deputy campaign manager for the 2010 WA-6 congressional race. 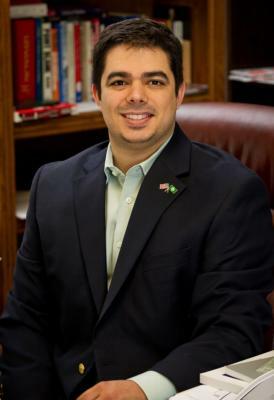 The opponent was a 17-term incumbent, Rep. Norm Dicks, and while Phil’s candidate didn’t win, Phil valued the experience he gained. 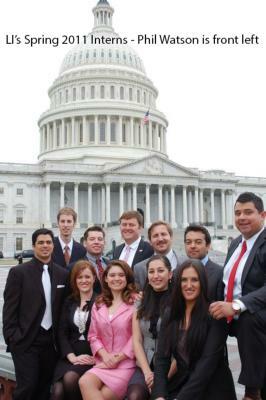 After the campaign, Phil came to the Leadership Institute in the spring of 2011 to intern in the Grassroots department. He’s taken 16 LI trainings from Public Speaking, Campaign Management, New Media, High-Dollar Fundraising, Television Techniques, Youth Leadership, and Conservative Career workshops and schools. After LI’s internship, Phil received a press internship in the office of Congresswoman Cathy McMorris-Rodgers, vice chair of the House Republican Conference and highest ranking Republican woman in Congress. Next, he trekked across America back to his home state of Washington to influence public policy and protect the right to keep and bear arms. Read Phil’s interview with the Russian Legal Information Agency here. His employer—the Second Amendment Foundation—has their 2012 Gun Rights Policy Conference in Orlando, Florida in a few weeks. To learn more, go here. “LI trainings helped give me a good foundation for the journey ahead,” Phil said. You too can build a good foundation for your public policy career. Register for one of LI’s upcoming trainings here. Please welcome Phil Watson as LI’s Graduate of the Week.